Midas Cars Forum - www.midascarsforum.com • View topic - Fibreglassing? Sorry it's not Midas related but as I know some of you are experienced in the art of fibreglassing , I was after your views. The Latham that I've got has lens covers over the head lights.One was already cracked and the other day I dropped something and cracked the other one. 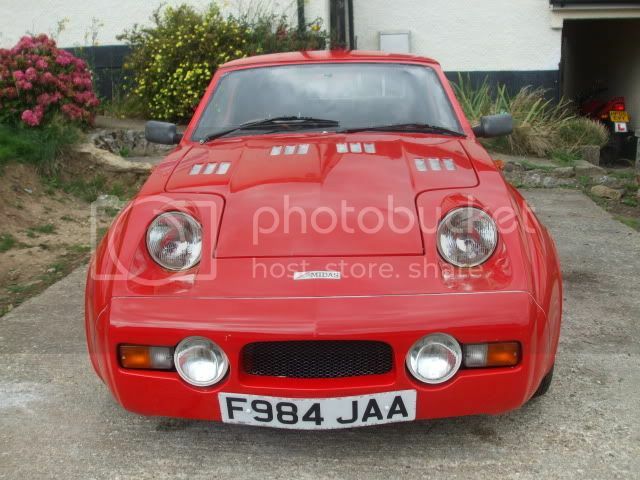 I'm looking at changing the look of the front as in the attached photos as the covers are expensive and I prefer the TVR Tuscan look anyhow. I was going to use expanding foam to get the rough shape, then fibreglass and filler over the top.Faired in and painted. Or should I get the exact shape with foam and filler, take a mold from this and produce a fibre glass piece to bond in place of the light lens? That's not my car by the way, just a picture I found on the 'net. I think David was looking at something like this using Smart Roadster headlights. I remember seeing that. Possibly what put the idea for the Latham in my head, that and the Comarth Xtamy and the Tuscan ofcourse. I don't really want the separate light pod though. This way I can set the llights according to the wing line. 90mm lights are available from S.V.C among others. A little pricey but i like the look. Used the expanding foam almost to size. Put it on too deep to start with and ended up with a gooey soft centre.Topped it off with filler. Now just trying to get a good shape and finnish. Think I'll take a mould before I cut out for the lights. Just incase it all goes pear shaped ! Any advise on making moulds?? I once used expanding foam to make headrests for my Midas and had the same problem. But I solved it by wetting the surfaces of the mould. Expanding foam needs water for its reaction. Usually there is enough in the air, but spraying contact areas with water helps. Thanks Hans. I'll try that when I do the other side.